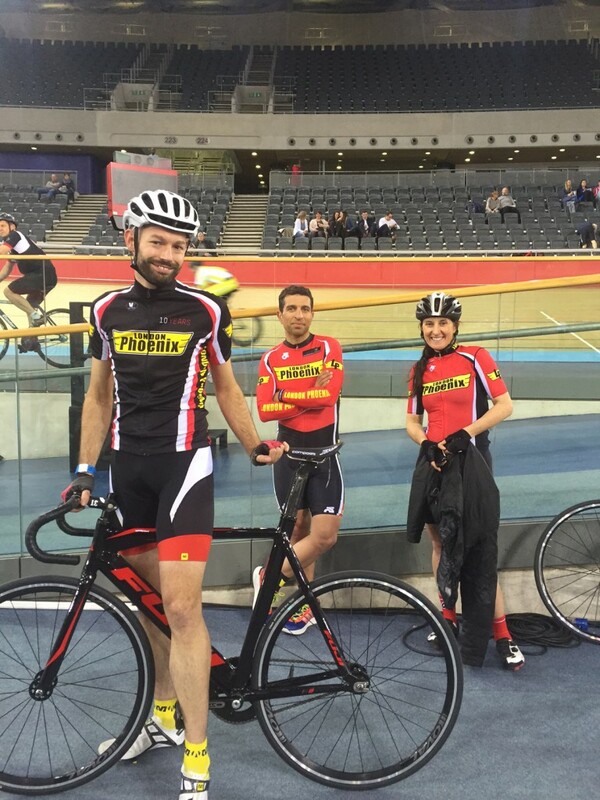 On the 18th March 2016 5 riders (Aoife, Tamala, Rael, Alex C and Guy) from London Phoenix took part in a Guinness World Record event at Lee Valley Velodrome. The event was in aid of Sports Relief http://www.sportrelief.com/. There were two records on offer that afternoon, one was James Cracknell smashing out a new hour record on a Chopper (http://www.cyclingweekly.co.uk/news/latest-news/james-cracknell-to-attempt-raleigh-chopper-hour-record-217236 ) and the other was for the most number of cyclists to do a 1km time trial in an hour (whilst riding past James Cracknell!). there was the usual array of celebrities and bbc camera crew, not to mention a busy velodrome full of spectators. The evening started off with a busy rider briefing which pretty much amounted to – don’t knock off James Cracknell and don’t crash! The after a wait of a few hours we were off, Alex was the first club rider off once James had 4 laps and then in a smooth succession each of us whipped round our individual efforts and were a part of a new world record – so that’s a first for London Phoenix, five riders with Guinness World Records. 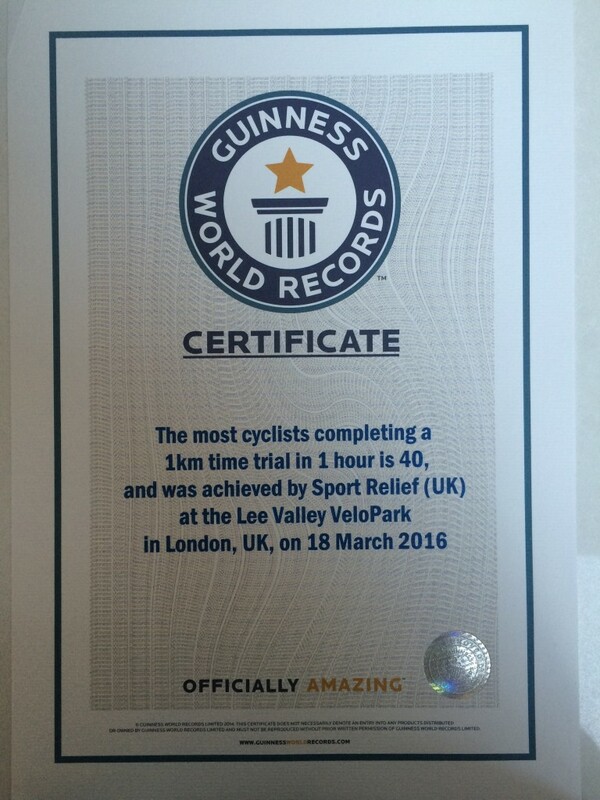 The record for when we have to regain it was 40 riders, not a bad effort.